Chenese Bean - Cincinnati Makeup Artist for Commercial & Bridal — CBS Sports Shoot With Jim Brown! CBS Sports Shoot With Jim Brown! Yesterday I had an amazing opportunity to work with legendary football player, activist & Jim Brown for a highlight for the NFL "Thursday Night Football" and CBS Sports. 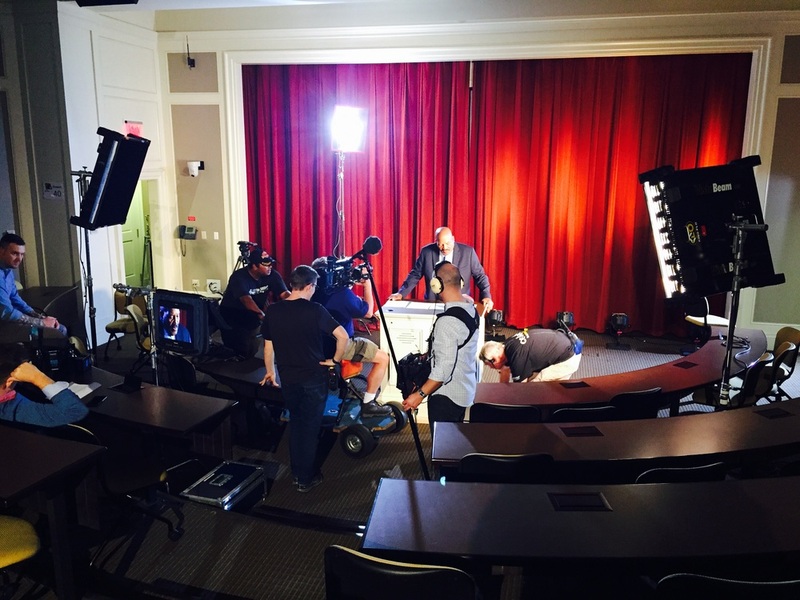 The shoot was taken place at Miami University and will be seen on television tonight during the Cincinnati Bengals vs. Cleveland Browns game. And to give you a glimpse of what went on to put this promo together, I'm sharing a few behind the scene photos that I'm sure you'll enjoy! Also be sure to follow #TNF on all social media outlets.